A firm locals' favourite, Arrowtown Bakery and Café is situated in picturesque Arrowtown on the banks of the Arrow River. The bakery sells homemade pies and pastries many of which are considered New Zealand specialities like their Venison Pie. There is a good selection for vegetarians including calzones and quiches and a whopping range of gooey, chocolaty and creamy sweet treats for the sweet-toothed among us. The adjoining café has plenty of seating and also serves light lunches and ice cream as well as bakery items. 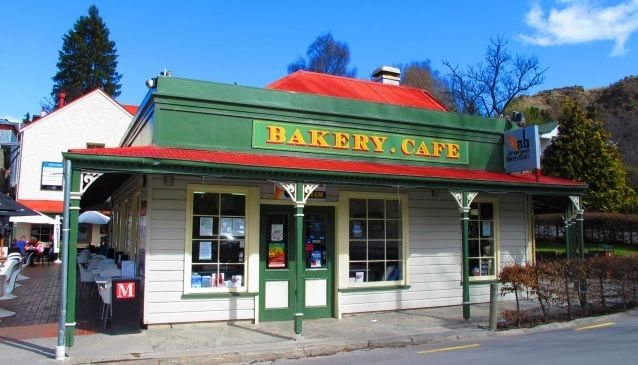 Given its cult status among locals and its central location, Arrowtown Bakery does sell out its more popular items so to avoid disappointment, it's a good idea to make your visit early on in the day rather than later.